Did you have health insurance coverage in 2015? If you did, you will need to indicate this when you file your 2015 federal taxes. 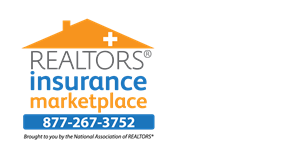 If you were enrolled in a health plan in 2015 through REALTORS® Insurance Marketplace, another marketplace, or a state or federal marketplace, you will receive a tax document in the mail. It’s called Form 1095-A. This form will come directly from the carrier of your major medical insurance. When this form arrives in the mail keep it with your tax records; it will include information needed to complete your 2015 federal tax return. Wait to file your 2015 taxes until you receive this form. Note: carriers only send Form 1095-A for qualified major medical insurance plans. If you had other health care coverage, (i.e. through your employer, Medicare, Medicaid or Children’s Health Insurance Program (CHIP), you may get a different form, or none at all. If everyone in your household had coverage for all of 2015 through one of the previously indicated health care programs you will need to check a box on your 2015 federal income tax form indicating you had coverage for the full year of 2015. Did you not have health care coverage for some or all of 2015? The law under the Affordable Care Act specifies that you must have health insurance. If you were able to afford health care coverage, but chose not to enroll you may be required to pay a penalty. If you were unable to afford health care coverage due to a hardship then you may be eligible for an exemption. The penalty for not having health insurance in 2015 was up to 2% of your annual household income. More information on determining if you may be eligible for an exemption can be found here. Did you have coverage and receive financial assistance in paying for that coverage for 2015? If so, you must file a 2015 tax return and report the amount of financial assistance you received. If you do not file a tax return for 2015 and you received assistance you will not be able to receive the same financial assistance in the future. Still unsure how your health insurance affects your 2015 taxes? The IRS offers free software and in-person assistance for those who qualify. Click here to determine if you qualify, or here to see if there is an in-person location near you. For more information regarding these topics click here. Be advised, we are not tax advisors and cannot provide advice on your individual tax return. The above information is provided for consideration when preparing your 2015 taxes. If you need assistance preparing your taxes, please contact a professional tax advisor and reference this information upon consultation. Health Insurance – what and why? How the NAR is Helping You. What is a High Deductible Health Insurance Plan? What is a Special Enrollment Period (SEP)? How do I qualify? Copyright © 2018 SASid, Inc.